Fast! Two weeks from "go" to generating kW. 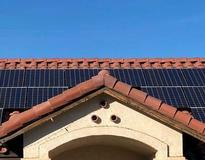 Cost includes removing clay tile roofing and replacing it with composite beneath the solar panels. We have a SSE-facing clay tile roof large enough to fit the 13 Panasonic panels needed to generate 4 kW. Roof pitch is about 17 degrees. No trees block sunlight to the rooftop. Our power company, Southern California Edison, has Time-Of-Use (TOU) pricing. Afternoon kWh are more expensive/valuable than morning kWh. Because of TOU, our WSW-facing roof was almost as $-efficient as the SSE roof. AWS Solar says that I will have no maintenance responsibilities. In Southern California we go for many months without rain, so I anticipate washing the panels if power levels appear to be dropping. We had already worked very hard on energy efficiency. All incandescent bulbs were replaced by LED. All appliances were new with good Energy Star ratings. More than one installer reminded us that it was easier to save a watt then to install a watt on the roof. To benefit the environment through an investment that would eventually pay for itself. 1. Do it soon before tax credits diminish 2. Do your homework and demand micro-inverters if that makes sense to you. Ask about monitoring. 3. In California, know your micro-climate. Some designers used average weather data from the nearest airport (sea level), while my house at 1100' often sits above the coastal fog at the airport. I suspect that 2019 might be an optimum year for solar. 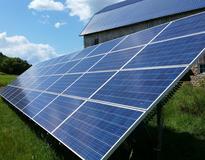 Solar panels prices have matured to minimum values while inverter reliability improves. Installers still in the business are highly experienced. The installers appear hungry for business. No hard evidence, just my opinion. I liked how fast the project went. EnergySage was handy in providing quotes AND providing the educational material I needed. I was slightly annoyed that the initial EnergySage-company's quotes all failed to include added costs associated with the clay tile roof construction.